Adventures in Animal Rescue: "Most Livable City"... unless you're a cat. "Most Livable City"... unless you're a cat. On June 23rd, the mayor of the City of Arlington, Texas, Robert Cluck was awarded an Outstanding Achievement Award for "City Livability". Part of the reason the city won this award was for supposedly innovative programs at the Arlington Animal Services Center. In an article on the myarlingtontx.com website, the mayor was quoted as saying "It is my belief that we have been very aggressive in taking care of the animals in our city and teaching residents to become responsible pet owners. It’s the only humane thing to do." One day after receiving this award, the "humane" Animal Services Center staff killed 22 cats. These were not cats that were badly injured or too sick and needed to be euthanized. Six of these cats were part of a family that included a mom and her kittens. This family, now all dead, didn't have ringworm, or upper respiratory illness, or any other medical problems at all. Reason given for killing them? "Unweaned". 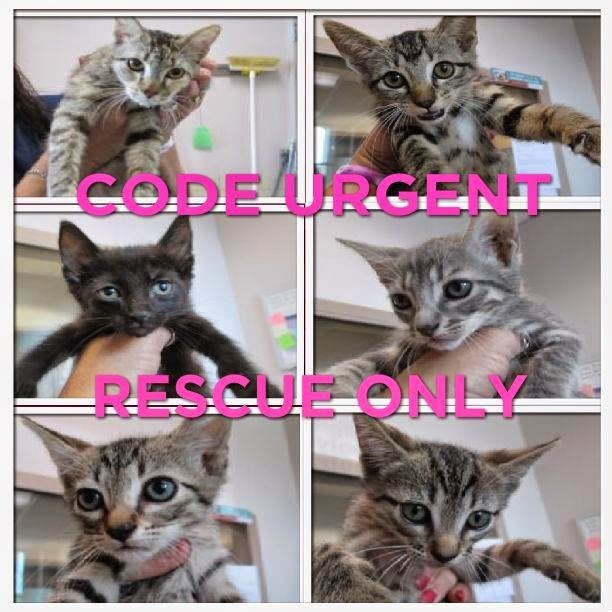 Even though there was a mom completely capable of feeding and taking care of these kittens until they reached the 2 pound mark the shelter holds as criteria for being "old enough" for adoptions, they were killed. 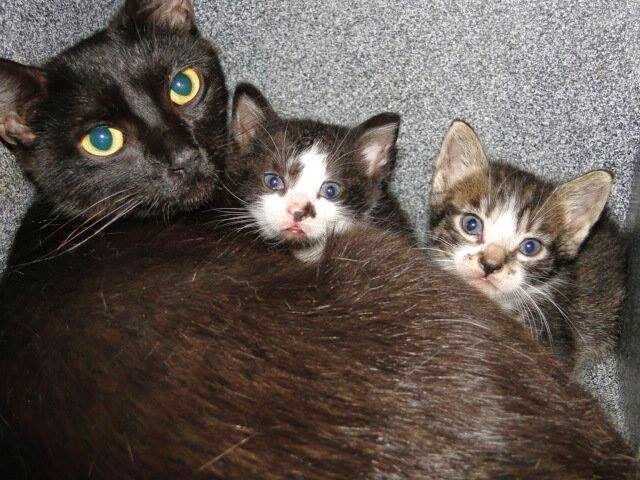 Even though this mom would have been adoptable without her kittens, she was killed. Humane, you say? If you think killing healthy animals is humane, perhaps you need to reconsider the definition of the word... humane means marked by compassion, sympathy, or consideration for humans or animals. Compassion is the farthest thing from what was shown to this precious feline family. Your reward for taking care of your children as they grew up healthy and loved, Momma May? Death. Sadly, this isn't an isolated incident. Just last week they also killed mama Raffles and her babies Ranger and Radar because mom was supposedly feral and kittens unweaned. Before that on June 6th, they killed mama Battina and her kittens Bali, Balki, Banzai, and Bebee. Reason again - unweaned. Every day a small handful of rescue groups scramble to find space in their already full foster homes to try and save these lives, because they believe every life has value. In return, the shelter practices overly strict guidelines that discourages other rescues from trying to get involved, and lists animals as "rescue only" to prevent the public from adopting. Why does Arlington get away with this? Is it because the citizens don't know what's going on? Not sure we can use that reason, since there is a warning posted right outside the door of the shelter that warns people that animals being dropped off may be euthanized, and owners surrendering their animals also fill out a form that also states they understand euthanasia is a possibility. Or is it because the shelter is overcrowded and there is no room? 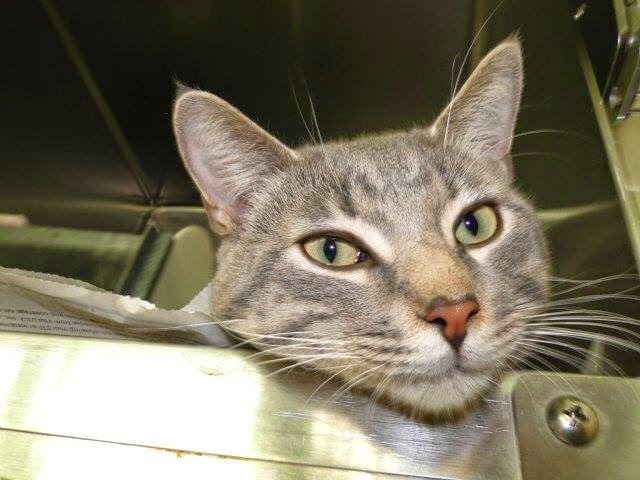 Not likely since most days that you visit the shelter, at least one-third of the cat adoption cages are vacant and cats are listed on the "EU" list for the reason given of "time in shelter". So maybe it's because city management, Mayor and Council are invested just enough to write up a nice piece on how "innovative" they are and win an award, and choose to turn a blind eye to the reality of death for these beautiful, adoptable animals? I think we have our answer, folks. The important question is "what do we do about it?" Well, you can help by volunteering with local rescue groups who struggle every day to find foster homes for these animals to stay in to avoid being killed, or donating to the groups that are working to trap-neuter-release the cats living on the streets of Arlington to help reduce the number of cats being born. But perhaps most importantly, let Mayor Cluck know that HUMANE means COMPASSION, and that COMPASSION does not mean killing healthy moms and babies when cages sit empty! You can contact him by email at robert.cluck@arlingtontx.gov and let him know that you care about the cats in Arlington and it's time for real change. Well, I did email him about healthy adoptable dogs being euthanized and he didn't care. All I got back was a rude comment. He's a terrible mayor and this award is a joke!! Seeing the amount of cats and dogs euthanized lately is heartbreaking and maddening, but there have been an insane amount owner surrenders of both cats and dogs lately too, so I will put some of the blame on the citizens of Arlington as well. Yes, they are given the information, but it's as if it doesn't sink in, or they just don't care. This shelter also aborted 2 litters of puppies in the last few months that were within a week of delivering. This shelter still needs a lot of work and a LOT more support from the mayor and city council, which will not happen with the current group that is there now. I'm ready to vote for a new mayor. PAAS, FAAS and Sponsor Adoptions do more than that prick of a mayor would ever even THINK to do!